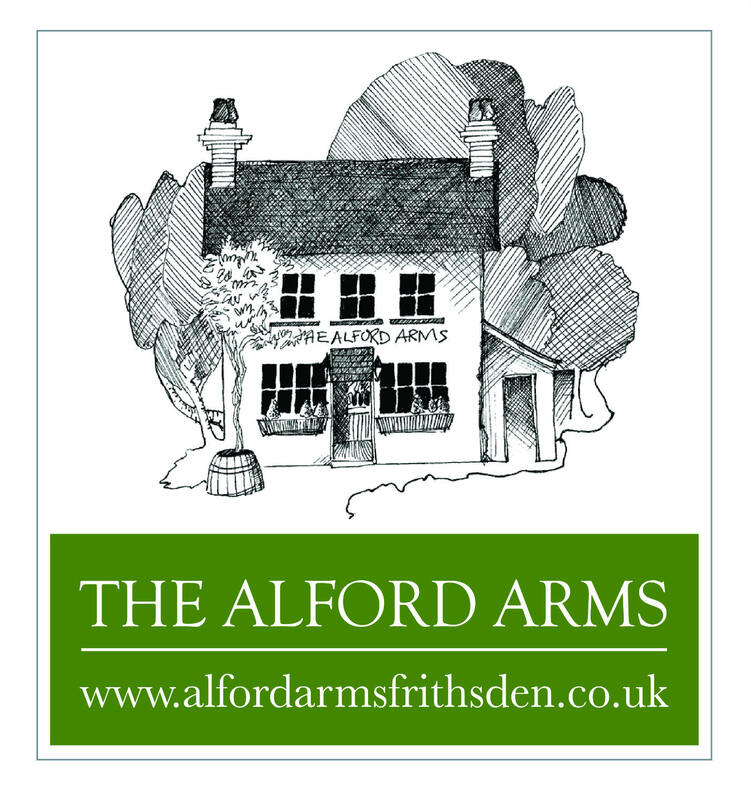 True to the traditions of a great British Pub, the Alford is a real hidden gem that has become a local institution over the last 17 years. Whilst often described as a gastro-pub, it sits more comfortably in the classic pub mould, that just happens to do great food. So, tables in the dining room are available to book, but there’s also the bar for drinkers with tables available on a first come, first served basis. The seasonal menu and daily specials balance originality with more traditional fare and we are firm believers in using local and foraged produce wherever possible. Happy to cater for any requirements we are past winners of the national ‘FreeFrom Food’ Eating Out award. There’s a fab terrace for sunny days and historic Ashridge Forest is right on our doorstep. Ramblers, dog walkers, bluebell admirers, mushroom foragers and cyclists regularly emerge from the surrounding countryside ready to combine their activities with a refreshing stop at the Alford Arms. Dogs, children and muddy boots welcome! Lovely little hideaway with a great menu choice and locally sourced food! We thought that deserts could be better: more unique options like that of the starter and main. Always an excellent dining experience in a lovely atmosphere. Great Pub, Great food, Great atmosphere, would highly recommend. Booked over month ago for a Sunday lunch time spot, can say it was most definitely worth the wait. Food was outstanding!! Will definitely be back again and again to eat the wonderful food, worth every penny spent. Didn’t even have to ask for condiments, apple sauce with pork roast was already on the plate and horseradish left on the table!! That’s how you do it!! The menu was very imaginative and the quality of the food was outstanding . We’ll be back. The staff and the food served made this a very pleasant evening with Friends. Keep up the good work, based on consistency, quality, value and friendly service. Wine list remains interesting and well priced. We are already booked to come again. A most enjoyable lunch with excellent service. The food is on the pricey side but for a special meal out this pub will always come up trumps. Presentation of each dish is attractive without being unnecessarily fussy and food is served promptly. Recommended. Always love it here! Food great, attentive service. Such a special venue. Always a good place for Sunday Lunch! Dietary requirements very well-catered for but portion sizes of vegan dishes and some  desserts (e.g. only 3 banana slices for caramelised  bananas) were smaller than expected. Service and ambiance excellent. Flowers on tables lovely. We would definitely come again. Bustling casual dress country pub/restaurant, great mix of customers from diners to dog walkers, couples to groups. Better group experience than intimate table for two. Wide range of food choice all excellent and served with a smile, will return ! The experience was very good with the sorry exception of the ambient temperature. All of us were cold, even someone who usually doesn't feel the cold. We were all wearing  the fleeces / jackets we came in from outside with, coudlnt take them off and we were still uncomfortably cold. You really need to sort out some better heating to make people feel comfy. Always guaranteed a lovely evening with delicious food, good service and  a positive vibe. 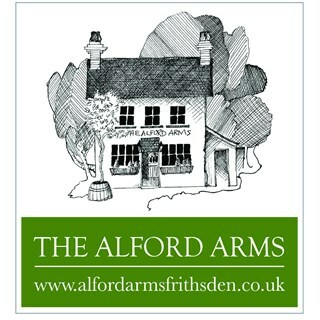 The Alford Arms is one of my favourite places to celebrate a special occasion with family and friends. 10 of us enjoyed a fantastic evening recently, the staff were great as usual, the food was gorgeous and the atmosphere was buzzing. We will definitely be back very soon. We had an excellent lunch here, food was fantastic in a beautiful country pub. Still my favourite pub in the area. Food is of a consistently high standard and well priced. There is always a busy but warm and cosy atmosphere that is unpretentious and relaxed.